News coverage has been flooded with reports of fatal accidents involving Tesla Inc Model S crashes that not only kill the drivers, but that cause massive fires afterwards, as the lithium-ion batteries have been shown to reignite after the crashes on numerous occasions. 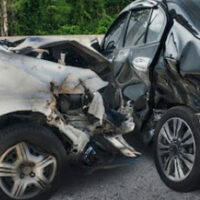 There is no question that these auto accidents pose a danger not only to those directly involved, but to anyone who could possibly come into contact with the vehicles long after the accident. U.S. authorities with the National Highway Traffic Safety Administration are now looking into these accidents and others, including one that occurred here in Texas not so long ago. Due to these car batteries catching on fire again and again after the accident, they also burn the driver and passengers beyond recognition immediately after the accident, which is of concern in terms of any potential survivors of the accident in the vehicle, but also any family and loved ones of the victims. Still, the Administration has not yet demanded a recall, even though a number of these accidents arguably make the product appear to pose an unreasonable safety risk. The issue of significant battery fires in the electric vehicles after the crashes is also not the only issue that the Administration is looking into: It is also concerned about the role of Tesla’s driver assistance technology, Autopilot, which was at issue in the 2017 Texas accident. Tesla advertises Autopilot as reducing a driver’s “workload,” allowing the car to “automatically change lanes” as well as “steer, accelerate, and brake for you.” Autopilot has reportedly been engaged in a number of accidents that have killed the owners of these vehicles, where the Tesla driver struck a tractor trailer, passing underneath the trailer as the roof was sheared off. In fact, in 2017, the National Traffic Safety Board indicated that Tesla lacked the proper safeguards that would allow a driver to use the Autopilot system in the environment for which it was designed; a system that gave far too much leeway to the driver; even if Tesla does recommend that drivers keep their hands on the steering wheel while using Autopilot at all times and that the Autopilot feature should not be used in highways with sharp turns or ambiguous markings. Still, the Administration’s review has technically not found any evidence of actual defects that would require a recall, yet. If you have been involved in an accident involving a Tesla vehicle here in Texas, contact our car accident attorneys at The West Law Office today to find out how we can help.